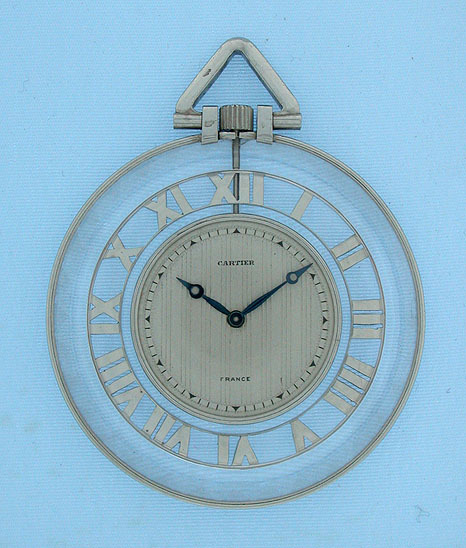 Fine, scarce and handsome Cartier slim platinum and rock crystal Art Deco skeletonized antique pocket watch circa 1930. 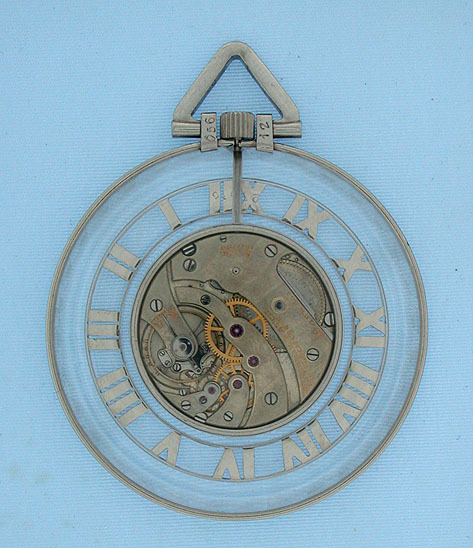 Fine nickel 19 jewel 8 adjustment movement signed "European Watch & Clock Co., Paris." This was Cartier's own watch factory. Slight repair to the edge of one of the pieces of rock crystal. Wonderful.